The Arsenal goalkeeper has no intention of leaving, despite speculation linking the club with a move for Petr Cech. 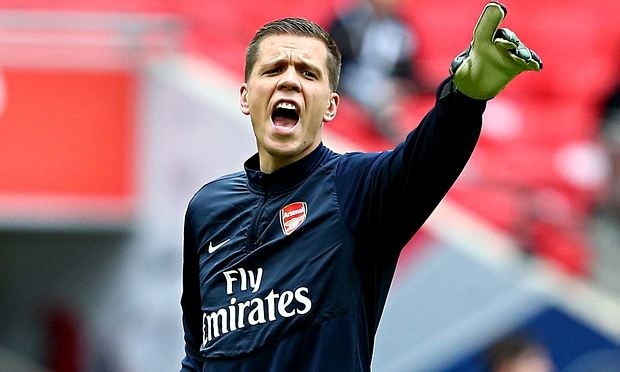 Poland international Wojciech Szczesny is happy at Arsenal and wants to see out his contract. Chelsea goalkeeper Petr Cech has emerged as a transfer target for Arsenal, which successfully defended its FA Cup crown after Szczesny kept a clean sheet in Saturday's 4-0 win over Aston Villa at Wembley. Szczesny - out of contract in 2018 - has not played in the Premier League since he was dropped on New Year's Day, with manager Arsene Wenger favoring David Ospina. And despite the possibility of a new keeper arriving at the Emirates Stadium, Szczesny has no plans to leave. "I am very grateful for the manager, he has been good with me over these last couple of months and has shown all the faith in the world in me and I am very thankful for the chance to play in the cup final and am very glad of a clean sheet," the 25-year-old said. "[The media] like to speculate, but I am happy where I am.